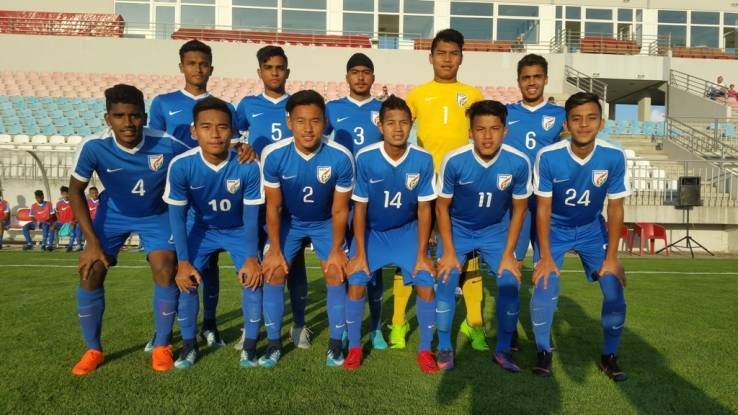 After registering a 2-1 win over Joran, Indian U-16 boys held hosts Serbia to a goalless draw in a hotly contested match on Friday (May 11, 2018). India U-16 boys had a chance to get an early lead in the game but Gibson failed to capitalize from the Serbian keeper’s fumble and fired the shot wide. India persisted with the attacking play but failed to find the target as the Serbians too exchanged attacks for an attack throughout the game. Indian goalkeeper and back-four had a solid game nullifying the attacking threats of the home side and ended the match in a fiercely contested goalless draw to stay unbeaten in the competition. The India U-16s will play Tajikistan next in the Four-Nation Tournament on May 13, 2018, in Serbia.